$treet legal dirt bike - no green sticker needed! 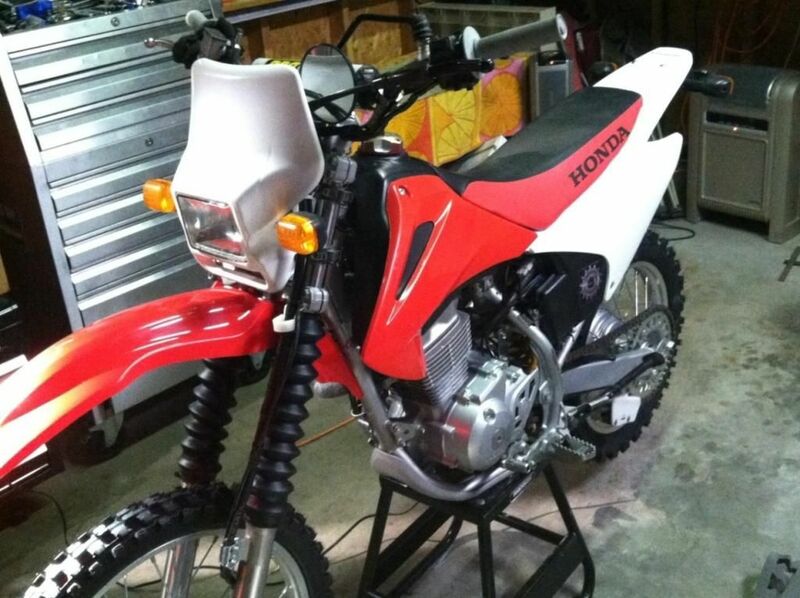 2006 Honda CRF150F. California street legal bike. Runs as good as it looks, always serviced, and always stored inside. Stock engine and suspension. Never abused, and it shows. This is the electric start model, and the motor is jetted correctly for Mammoth Lakes (JD jet kit). UNI filter, BBR rev box (CDI removes stock rev limiter), wrapped and uncorked exhaust & set up with trail tech enduro computer. Like new Renthal bars and grips. Bike gets approx 65mpg. Brand new plastics and tires. New chain guide, aluminum sprocket, and chain. Fully functioning Baja Designs dual sport Kit. Smaller rear sprocket for extra top speed.